There’s No Place Like Holmes! 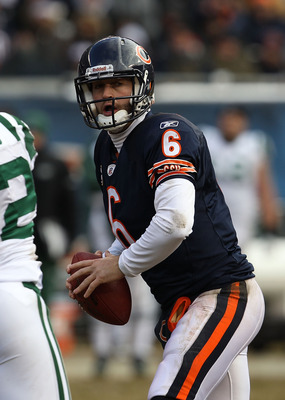 As we gear up for this weekend’s NFL Conference Championships, we plan to take a look at some of the intriguing players and plots among the Steelers/Jets and Packers/Bears. 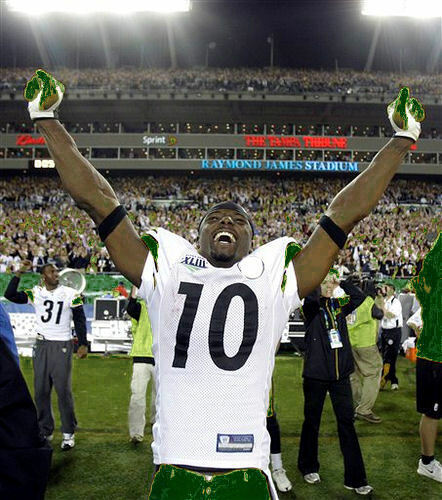 Today we highlight New York Jets wide receiver Santonio Holmes. Holmes was drafted by the Steelers in 2006 in the first round. He was both a receiver and a punt returner. Holmes went on to become the Super Bowl MVP in 2009, when he caught the game winning TD with 35 seconds left in the 4th quarter to give the Steelers their 6th Super Bowl title. It was one of the most amazing receptions in Super Bowl history, as he had to balance himself and make a tip-toed, far-reaching catch! In April, after a number of off the field issues including a violation of the NFL’s substance abuse policy, the Steelers traded Holmes to the Jets for a 5th round draft pick. Given his Super Bowl performance and some impressive games over his years as a Steeler, the news stunned the sports world. The NFL handed down a 4 game suspension to Holmes because of his substance abuse violation at the beginning of the season. Holmes became eligible to play for the NY Jets on October 11th against the Vikings. Through twelve games, Holmes had 52 receptions for 746 yards. While those may not be eye-popping stats, it is his ability to make clutch plays that makes Holmes so valuable. Just like the Super Bowl catch that earned him MVP status, Holmes made another unforgettable big play in last week’s divisional game vs. the top seeded Patriots. The game was still close, as the Patriots had just scored to make it 14-11. On third down early in the 4th quarter, Holmes made an incredible TD reception, managing to get his knee down in the end zone while extending his body in an extraordinary display of control and athleticism! The Jets defeated the Steelers 22-17 in Week 15 at Heinz field. Once again, Gang Green will head back to the land of the twirling “Terrible Towels”. Will Santonio Holmes, the ultimate clutch player, have one of his unforgettable performances that change the outcome of the game? Will his play be one of vengeance, where he stuns the Steelers into wishing they had not traded him? Or will the Steelers shut Holmes down and feel validated by their decision to rid themselves of the controversial WR? Tune in Sunday and watch as Holmes’ intriguing story unfolds in this AFC Conference Championship game! 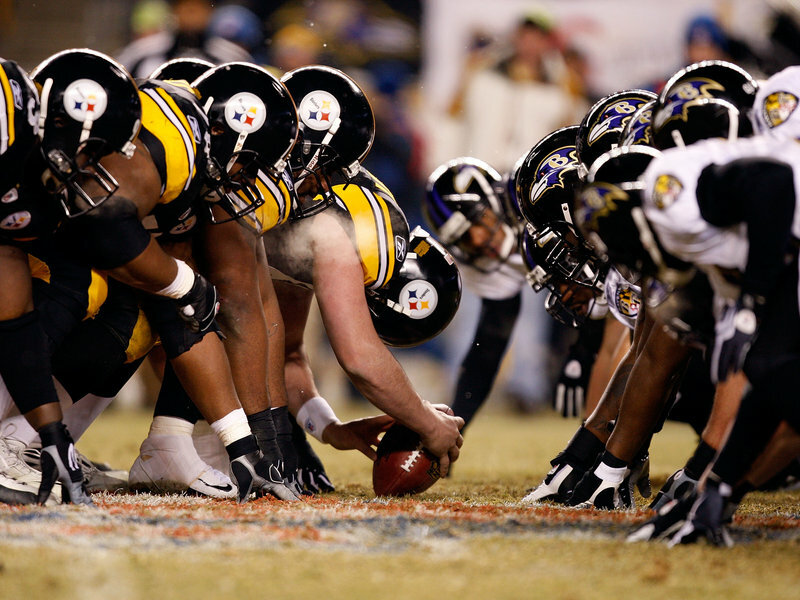 Ravens vs. Steelers – Are You Ready for Some Smash-Mouth Football? After a crazy Wild Card weekend, the Divisional Playoffs are now upon us. Over the next few days, we will look at this weekend’s games, which should prove to be just as exciting as last weekend’s contests. We went 1-4 in our Wild Card predictions, so if you’re entering an office pool, you may want to reconsider putting any wagers on our picks! The first game this weekend is an AFC North Divisional Playoff featuring Baltimore and Pittsburgh. Game time is 4:30 pm ET on CBS. These two hard hitting teams embody good ol’ fashioned, smash- mouth football and the testosterone level will be sky high! What better way to start the divisional playoffs than with an intense rivalry between two physical teams? It’s a home game for the Steelers and fans will be out in force, frantically waving their “Terrible Towels” and cheering for their beloved team. The last time these teams met was in early December when the Steelers overcame a 10-3 deficit, scoring 10 points in the 4th quarter to pull off a 13-10 victory. Earlier in the season, at Heinz Field, the Ravens defeated the Steelers, but it was a game in which Steelers QB Ben Roethlisberger was missing due to his NFL suspension. Last weekend the Ravens beat the Chiefs in a Wild Card game that held KC to only 7 points, despite the Chief’s prolific rushing offense. Their 30-7 victory certainly provides momentum coming into this week’s heated rivalry with the Steelers. 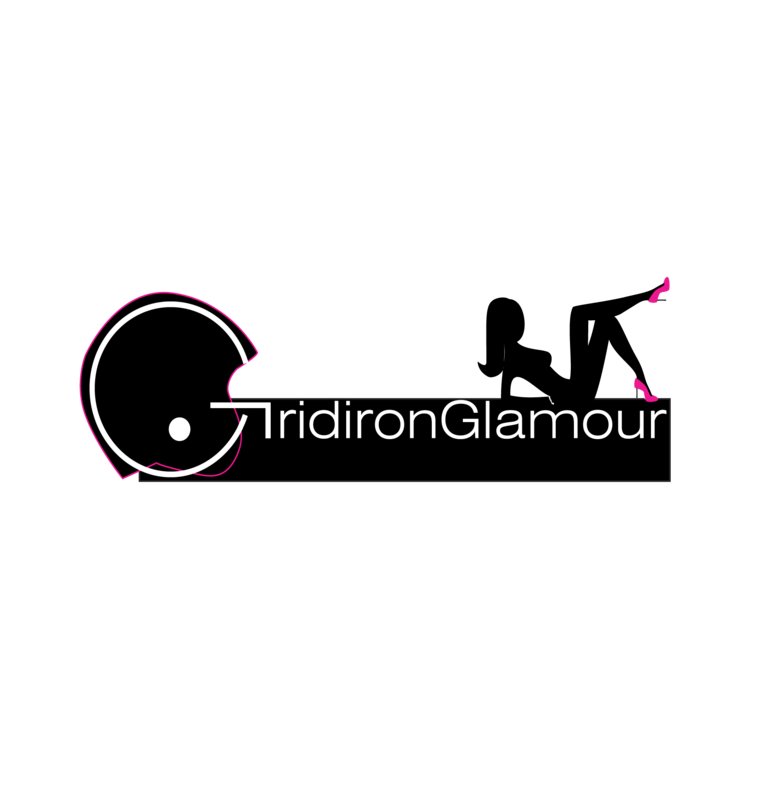 But their win last week had a lot to do with the turnovers (3 interceptions and two fumbles) committed by the Chiefs. In the third quarter Baltimore led only 10-7, but their powerful, fast defense rattled the Chiefs and the offense was able to capitalize on the KC’s miscues. Ravens QB Joe Flacco completed 25 of 34 passes for 265 yards and 2 TDs. Flacco is 4-2 in road playoff games and will need an error free day to win against a tough Steelers defense. Running back Ray Rice will need to have a big game as well. The Steelers led the NFL in rush defense this season and held Rice to just 32 rushing yards and 18 passing yards in their last match up. The Steelers, on the other hand, had a bye last weekend. They will be rested and ready to face their division nemesis. Since 1970, the Steelers have not lost to a divisional rival in post season play. Steelers QB Ben Roethlisberger has won his last 6 games against the Ravens, even after suffering a broken nose in the first quarter of their last meeting. He has thrown 158 straight passes without an interception. Big Ben has playoff experience (and two Super Bowl Championships) and will undoubtedly be poised and ready to play in front of his home crowd. Like Baltimore, Pittsburgh is also known for its defense. Safety Troy Polamalu has game changing abilities. He played a pivotal role in the last game between the Steelers and Ravens when he stripped the ball from Ravens QB Flacco, which led to the game winning TD. With the two defenses so evenly matched and the last 4 games being decided by a 3 point margin, who will prevail in this clash? While the Ravens have momentum, we think Pittsburgh wins in a close battle that comes down to the 4th quarter and possibly even overtime. The home crowd, combined with Big Ben’s playoff experience, should be enough to give Pittsburgh the edge in this tough, physical matchup. Eagles vs. Packers/Vick vs. Rodgers…Who Will Win the Final Wild Card Game of the Weekend? As Wild Card Weekend winds down, we are gearing up for what should be a great contest between two high powered offenses! The Ravens defense held strong in this afternoon’s game, in part due to the many mistakes by the Chiefs. The Ravens join the Seahawks and Jets as winners of this weekend’s playoff games. Will it be the Packers or Eagles that joins them? Get ready for the next game – Go Eagles! It is no secret that we are BIG admirers of Michael Vick. With that in mind, here is our view of today’s game. It should be a wild wrap up to this Wild Card weekend! The Packers and Eagles met in Week 1. The Packers won that game 27-20 and starting Eagles QB Kevin Kolb suffered a concussion, allowing back up Michael Vick to take over. Vick brought the Eagles back from a 17 point deficit that fateful day, throwing for 175 yards and rushing for over a hundred yards. While he may not have been able to ultimately win that game, he did put himself in the position to win the starting QB position for the Eagles. The rest is history. 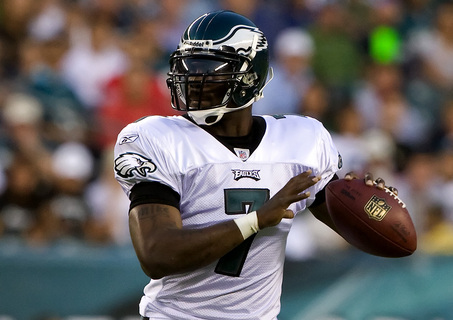 Michael Vick is the key to an Eagles victory today. The past few weeks, Vick has struggled against the blitz. When the Eagles played the Vikings earlier this season, he was sacked 6 times. 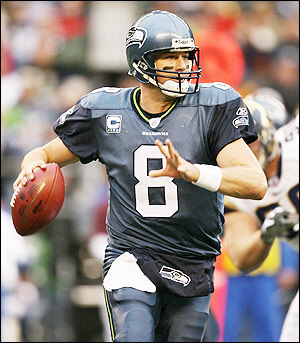 Green Bay will likely use a similar strategy and throw some innovative blitz packages at the elusive QB. It will be up to Vick to read them and adjust. In their first meeting, the Packers sacked Vick 3 times in only 19 attempted passes. Look for Packers cornerback Charles Woodson and linebacker Clay Matthews to play big roles in disrupting Vick today. The Philly offensive line will have to play better than they have in the last few weeks in order to protect him and give the Eagles a chance. Aaron Rodgers’ passing ability defines the Packers offense. 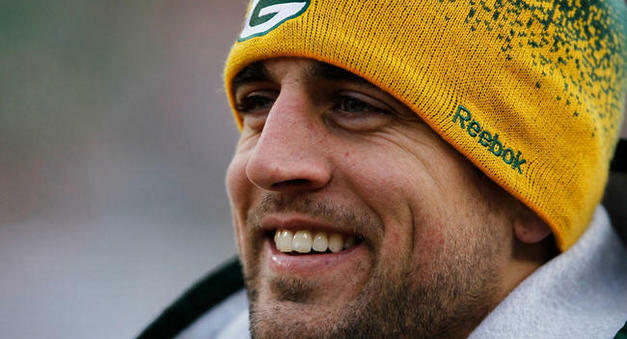 Rodgers has the third highest QB rating in the league and the Packers are ranked 5th overall in passing in the NFL. Despite injuries to both his starting RB and TE, Rodgers has propelled the Packers into the post-season. Greg Jennings and Donald Driver are Rodgers’ leading receivers on this pass-first team. If the secondary cannot contain them, Rodgers could put up some serious points. With two high powered offenses facing each other in a “do or die” situation, this game is hard to predict. But given our love for Michael Vick, we find ourselves inclined to pick the Eagles to win. While the Eagles lost their last two games, we don’t see it as the beginning of a losing streak. A healthy Michael Vick, with his dual threat ability, is hard to contain. If the Packers blitz all day, LeSean McCoy’s blazing speed should be enough to win this one for the Eagles, even facing the NFC’s top ranked defense.